Jon M. Sweeney, author of numerous popular books on St. Francis as well as the recent bestseller The Pope Who Quit, offers a surprising new look at the world's most popular saint, showing how this beloved, but often-mythologized character created a spiritual vision for the ages and may very well have rescued the Christian faith. 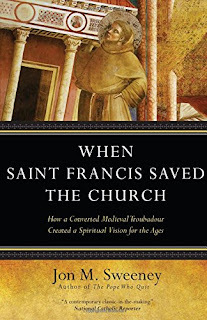 In When Saint Francis Saved the Church, popular historian Jon Sweeney presents an intriguing portrait of Francis beyond the readily familiar stories and images. In the tradition of Thomas Cahill's How the Irish Saved Civilization, Sweeney reveals how the saint became a hinge in the history of the Christian faith and shows how in just fourteen years--from 1205 to 1219--the unconventional and stumbling wisdom of a converted troubadour changed the Church. Sweeney outlines Francis's revolutionary approach to friendship, "the other" (people at the margins), poverty, spirituality, care (for people, creatures, and the natural world), and death. This vibrant book presents the unsullied life and message of Francis in its essential details, offering a sweeping, informative, remarkable look at how Francis and his movement quite literally saved the Christian faith--and continues to offer a spiritual vision with contemporary relevance. OK, so interesting topic, yes? And certainly very timely. Pope Francis comes up quite a few times in the course of this book, with the author noting that we're seeing a bit of a Franciscan resurgence in recent years. It's certainly a beautiful thing, as the author mentions, that someone who lived so many centuries ago can still have such an impact on others and their relationship with God. "Francis watched his contemporaries in religious life, the Dominicans, focus their ministry on teaching right belief, and in stark contrast he focused entirely on right action." That sort of thing, nothing major. And I'm certain that others may have a different interpretation of these instances in the book. I simply noticed it as it came up multiple times. I thought that this was a well-researched, informative book. It is structured around the major tenets of Franciscan spirituality (personal poverty, embracing all other people, caring for animals, etc. ), which I thought presented the material in a comprehensive fashion, and I learned quite a lot about the Franciscan view of the world based upon this. All of that being said, I did find the book a tad dry. I'm tough though when it comes to non-fiction. I have a short attention span and need to be entertained constantly. :) So when it comes to titles that read more in a text book style, I become easily distracted and bored. Thus, this is not a book that I would re-read. However, I would not hesitate to recommend it to someone wishing to read a book about the history of the Franciscans and the major themes of St. Francis's life. Who else read this book, or perhaps another book by this author? 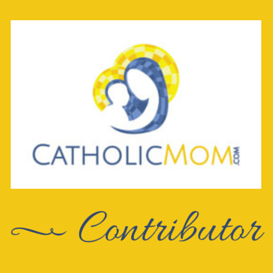 Please chime in with your thoughts!